Laureate International College offers Ontario credit courses to students who wish to achieve academic standing that will lead towards completing their Ontario Secondary School Diploma (OSSD) and preparing for admission to college and university. Through various courses, students will develop critical thinking skills, in-depth knowledge and understanding, and analytical skills. Our goal is to ensure the success of every student through interactive learning, peer collaboration, and differentiated instruction. By creating a positive learning environment with qualified teachers, student confidence will increase to achieve their full potential. Upon successful completion of these courses, students will discover that they will be well prepared for the next steps in their academic, personal, and professional growth. 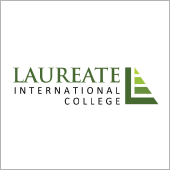 Laureate International College believes in accountability, equity, community and global partnerships. A graduate of Laureate International College will be the 21st century global citizen who is multilingual, travelled, life-long and self-directed learner, articulate communicator, collaborative worker, complex thinker, community contributor, and quality producer.